A classic age-old topic. The battle between consoles have been much like sports and politics in controversy, rancor and noise. In the past few years, I haven’t noticed quite as much division as before. This could be because the differences between consoles are diminishing as technology evolves and companies emulate their competition. It could also be because I surround myself with different friends and communities than before. I guess the Nintendo Entertainment System and the Sega Master System would be the first competition, but that was a one-sided victory for Nintendo. This was the most classic example of brand loyalty and trickery. Some have noted Genesis as a faster console, but this is deceptive. It was much stronger than the NES, but weaker compared to the SNES. Yes, Genesis had a much faster processor. 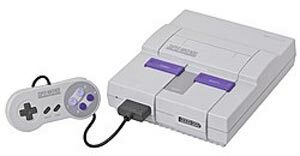 But it’s also worth noting that SNES had a far wider palette of colors, double the RAM, allowed for higher resolution images and had better audio capabilities overall. This difference showed in many third-party titles. But Sega continued marketing it as faster, using Sonic the Hedgehog as a mascot. Ironically, Sonic moved slower than Mario did overall, apart from certain scripted segments where Sonic would speed through loops. Both consoles received a healthy amount of third-party support, but 3 Sonic was not enough to make up for Mario, Zelda, Donkey Kong and other major franchises Nintendo had. In general, I want to note that this was a very progressive generation for gaming. Game visuals had some color and atmosphere to them rather than being just 8-bit blocks and more variety was allowed in sound compositions. This generation’s games also had full-length single-player campaigns with some storytelling rather than simply being short arcade games for a high score. This generation is an example of how hearsay can create a false perception. We tend to talk about the classic N64 games far more, but the PS1 actually sold about three times as many units as the N64. Why is this? Simply put, PS1 had a much larger variety of titles. Nintendo enacted strict quality control measures to prevent the glut of bad shovelware titles which plagued their previous two systems, but they went too far in the opposite direction. PS1 ended up getting most of the third party titles, while Nintendo had difficulty in getting full third party support for their consoles which last until this day. Of course, if we wanted to talk about the top 20 games of each console, Nintendo would easily win out. 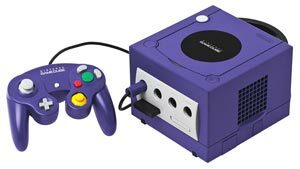 Their console had several classic games which stood the test of time such as Ocarina of Time, Majora’s Mask, Super Mario 64, Pokemon Stadium, Rare’s games etc. But with third party, Sony was able to make in-roads into various niches. Fans of sports, RPG’s, racing and a few other genres had far more choices on Playstation. For the time, Playstation certainly won. However, if we are talking about which game library we would rather play today, the N64 definitely has a strong argument. 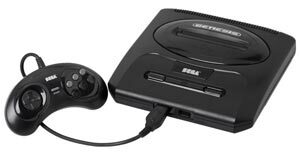 This generation was also known for its flops such as the Virtual Boy flop (a portable console with ugly red graphics which wasn’t even that portable) and the $600 Sega Saturn which never caused traction. Notable innovations in this generation was the introduction of 3D gaming, N64’s adoption of 4 controller ports for multiplayer and Sony usings discs for their titles. PS2 — Last I checked, PS2 sold 150 million while Xbox and Gamecube both sold 20 million each. 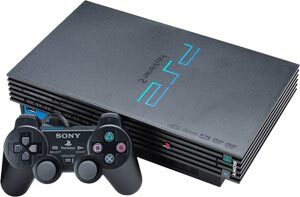 All were great consoles for their time, but why did the PS2 become the best-selling home console of all time? It had respectable first-party support and the largest third-party support possibly ever seen on a console. Moreover, the capability of playing DVD’s (which was relatively new at the time and other consoles did not have) gave it appeal as an all-around entertainment device. It was the most well-rounded console overall. 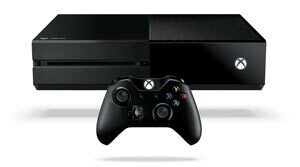 Xbox — Microsoft’s foray into the console race was not bad for a first attempt. While it didn’t halt the PS2’s sales as much as they had hoped, it did position the company for the widespread success of the Xbox 360. With Halo 1 and 2, Microsoft had an iconic franchise. The online play with Xbox Live was something truly unique for it’s time and the Xbox became an essential purchase for those who preferred online action games. Sega’s Dreamcast, their last console, came out just before the other 3, but it suffered from being in between generations. The PS1 and N64 were already well established while the hype of the PS2 was more appealing to many as a long-term purchase. At launch, Xbox 360 was the most well-rounded (apart from those who received the Red Ring). 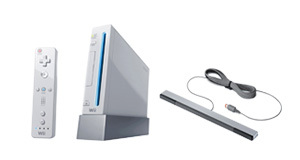 On one hand, the Wii was the most affordable at $250 (bundled with Wii Sports). However, it was severely underpowered and it did not support high-definition. The PS3 was overkill for most people at $600. It had a blu-ray player, but most people didn’t want or need one at the time. It had the most advanced hardware, but also the most difficult to develop for. The Xbox 360 had the perfect middle-ground of a $400 price-range and a console which could handle all contemporary games. As far as sales go, this is the generation where sales exploded. As far as I know, both the Xbox and PS3 sold about 80 million copies and the Wii sold 100 million copies. Xbox 360 was winning at first, but the PS3 did manage to turn around and catch up with the help of European sales. Technically, the Wii is the winner in terms of sales, but it didn’t have lasting longevity: many bought it as a novelty, it had a short lifespan, year 2011 had major title droughts, and the vast majority of the large install base Nintendo built up did not stick around for the Wii U. During the early part of the gen, you went to the Wii for the exclusives and the 360 for the third-party. However, toward the later part of the gen, the PS3 had price cuts, full third-party support and developed a respectable line-up of exclusives (thanks in part to Naughty Dog) and became the overall winner. Despite the over-abundance of military games in this generation, let’s not forget the accomplishments. Online gaming became wide-spread. A wide variety of unique indie games became available due to online distribution and flexible pricing models. Games with human-like characters and complex stories such as the Mass Effect series and The Last of Us were had.